As Ford’s premium brand, the Lincoln has - for some - been a disappointment in previous years. This is no longer the case with the 2017 Lincoln MKZ which has received a complete upgrade - including an incredible new 400 horsepower engine - thoroughly elevating it to a new status amongst other new cars for sale in the luxury market. Exterior styling changes to the 2017 Lincoln MKZ are subtle. Most notable are the new signature front grille (this will be the first Lincoln to feature this styling change), adaptive LED headlights, and a Lincoln logo ‘welcome mat’ projecting from the side mirrors when the car is unlocked at night. Inside, the MKZ has been vastly remodeled, with buttons and knobs replacing the previous sliding controls. The interior styling is elegant and luxurious, with the top of the line trim featuring a center console trimmed in real aluminum. For added convenience, four high-speed USB charging ports (two of which can be accessed by passengers in the rear) are included, as well as 2 choices of Revel-branded Harman/Kardon audio systems (14- or 20-speaker set-up). 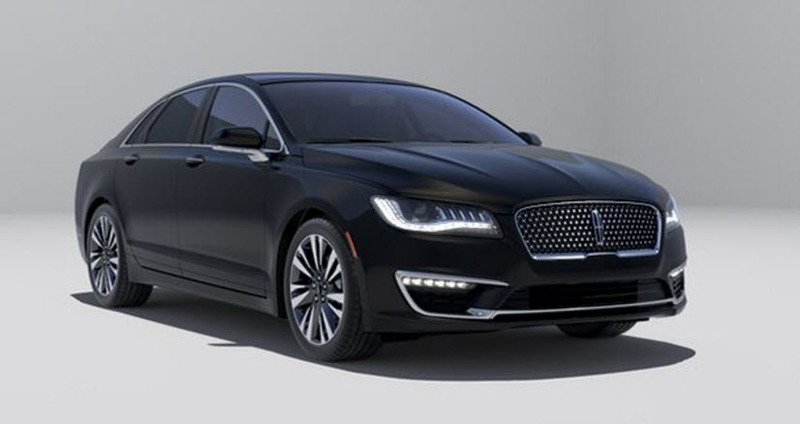 New to the 2017 Lincoln MKZ is autonomous emergency braking with pedestrian detection, all-speed adaptive cruise control, and the latest version of Ford’s park assist system. In addition, the MKZ will debut the MyLincoln Mobile app to enable remote locking, unlocking, and starting via smartphone. To find a car dealership in Olympia and find out more about the new 2017 Lincoln MKZ, visit Olympia Auto Mall today.